LINWASH23's SparkPage - Great to be Alive!!! LINWASH23's SparkPage - Great to be Alive!!! Hi, I am Linda and like so many of you; I have tried to lose weight and now I can tell you that Spark People works. I have been on the program for a year and I have been successful on my journey to a healthier lifestyle. I know that Sparkpeople and all of my Spark Friends have made the different. I am glad that I am here. Join me and so many others that our changing our lives for the better, one day at a time. LIVE AND ENJOY EACH DAY. I AM CHERISHING EACH DAY AND ALL OF THE PEOPLE IN MY LIFE. I just love my Kindle. I read at least 3 novels a week, thanks to my Kindle. 2/22/2017: Ounces add up to Pounds. Fall in Love with Healthy Eating, Portion Control & Walking 2 Get Fit & Your sure 2 Fall in Love With Your Body!! Fire up those Sneakers and Fall in Love with Walking and You Can Walk Your Way to a Healthier, Slimmer You!! If you or anyone you know are having trouble tracking or are stuck in a plateau, then please read this or share it with your spark friends. Remember attaining weight loss is possible and permanent weight loss is absolutely doable. If you are will to start changing your life and lifestyle one habit at a time. After all that is how we learned how to talk, walk, dress, bathe and eat. Was one step at a time. Our Mothers and fathers were very good at teaching us what they knew. But, most of them did not know what healthy eating was. Not really. Nothing like a dietician would know. So remember when starting out you want to set up small attainable goals. Even if you are having trouble anywhere in your weight loss journey, you may just want to take a step back and look at where you are actually at. 1) Are you where you want to be? 2) Are you losing weight? 3) Are you really tracking everything that you eat? 4) Are you being completely honest with yourself? 5) Are you setting realistic goals? 6) Are you drinking your daily water? 7) Are you eating at least 2 fruits daily? 8) Are you eating at least 3 vegetables daily? 9) Are you getting at least 10+ minutes of exercise daily? Drinking 8 cups of water.....every day is very important to stay hydrated. • Not eating in front of the TV....you do not want to be distracted, enjoy your meal and put down your fork or spoon between every bite, while sipping water. It takes at least 20 minutes to ensure the brain starts to signal the stomach that you are getting full. 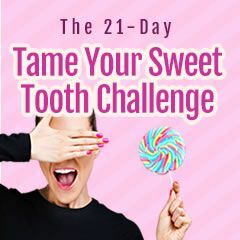 • No soda or sweet drinks....you will want to cut out as much refined sugar as possible, lowering your risk of diabetes. • Eat breakfast every morning: This is the most important meal of the day, you need at least 300 - 400 calories to start your day and get your metabolism reeved up for the day. • No candy, cake, potato chips or other high carb junk food, instead try a piece of fresh fruit, granola, veggie slices or nuts. Sometimes even a glass of water can keep hunger at bay. Try it infused with slices of fruit or veggies. And if you are stuck in a plateau, try mixing up your exercise routine. A strength training program, with some cardio and walking the pounds away may be just what the doctor ordered. Talk it out with a trainer, a dietician, your doctor or weight loss buddy may also be an answer too. Just do what it takes for you..... what works for one, may not work for you. My body is a marvelous machine and when I take care of it, It meets my every expectation!